First annual event is Saturday in Sterling. 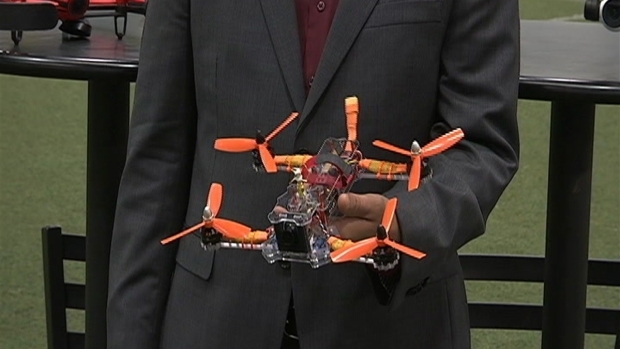 For the first time, racing drones are coming to Northern Virginia. 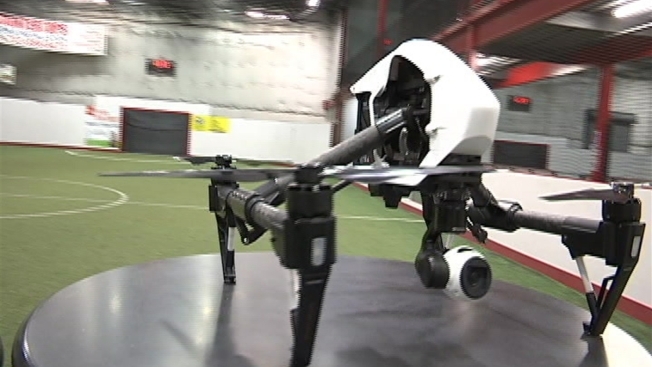 The first annual FPV drone racing conference and expo will kick off Saturday at 3 p.m. in Sterling, said Michael Geraghty of Rugged Sky Media, a Virginia-based company specializing in aerial photography. Saturday's event will feature local vendors and non-profits with information on how drones are used for wildlife conservation, fire detection, underground infrastructure inspections, agriculture, cell tower inspections and other things. The drone races kick off at 3 p.m. at the Michael & Son Dulles Sports Complex at 21610 Atlantic Boulevard. Adam Negron explains the drone that's being offered as a door prize at Saturday's drone racing event. The event runs until 11 p.m.
Tickets are $10 at the door or $8 if bought online. Anyone who buys a ticket is automatically registered to win a free drone. Drone Racers co-owner Adam Negron describes which type of drone will be given away.